We want to build a single, unified experience that will combine all the capabilities of Power Query, Power Pivot & Power View. Historically, those tools were developed at different paces, using different technologies, each designed to stand in its own right. While each of the tools did exactly what they were set out to do, our users spoke loud and clear – they wanted to use them together and see a much better integration than what we delivered. Additionally our users provided feedback that they would like to see our tools evolving on regular and frequent cadence. The very next thing we did was to put together a team that is composed of experienced developers and designers who worked on these technologies before and asked them to build that single tool. 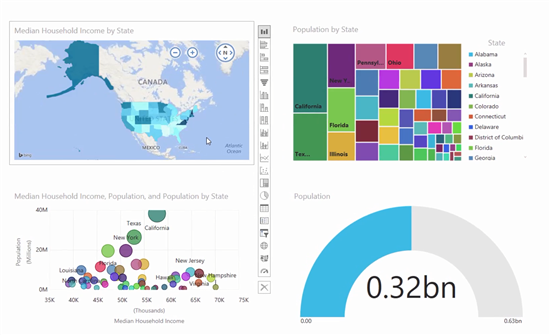 On Dec 18, 2014, we announced the preview of the Power BI service together with the Power BI Designer. That early build was our first showing. 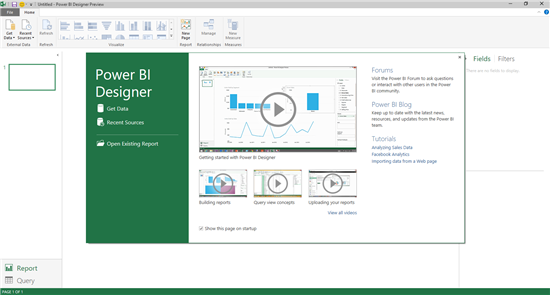 The Power BI Designer preview combined the capabilities of Power Query and a good portion of the Power View capabilities, but it did not show Power Pivot. I say “show” as behind the scenes the Power Pivot in-memory engine that glues it all together was there. However, those changes still didn’t show the direction we are heading into with the integration of Data Modeling capabilities into the Designer. There are many capabilities that make Power Pivot the best analytical engine of its kind but of all, there is one feature that is more recognized than others: DAX formulas. Anybody who has used Power Pivot before will attest that our integration work will never be complete without the addition of DAX formula authoring capabilities to the Designer. Rename & Delete fields in Report view.